That’s it! Unless you want to enter a summary, which is easy to do. 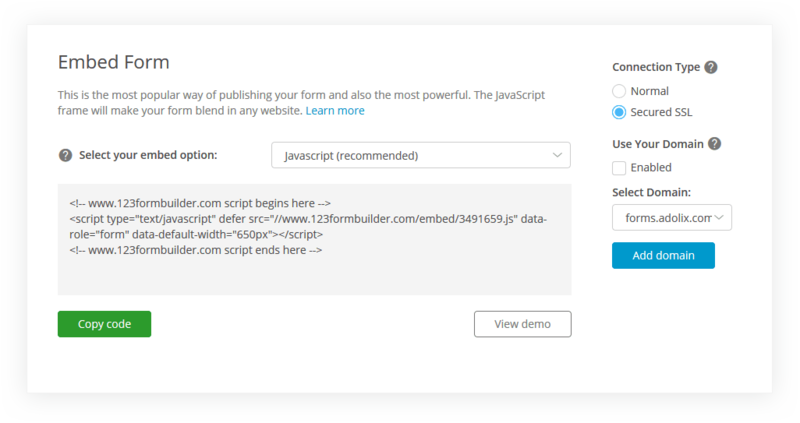 123FormBuilder (former 123ContactForm) is an intuitive form building platform that helps users create efficient workflows, collect data and achieve success. 123FormBuilder exists to empower customers to collect, manage and communicate their data and is all about creating efficiency, enabling growth and achieving results by being customer-centric, adaptable, efficient and fun. Tumblr is the best place for creators to find an audience for their content. Over 200 million blogs publishing 80 million posts per day and 70% of Tumblr users say the Dashboard is their favorite place to spend time online. Tumblr is ranked #1 in social sentiment towards brands. Users can customize colors, fonts, layouts and more, and join millions of people in millions of communities across millions of #tags to follow topics of interest.